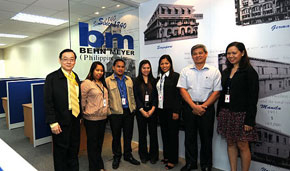 Behn Meyer Animal Nutrition has recently started its business in the Philippines under the umbrella of Behn Meyer (Philippines) Inc. This strategic move completes our ASEAN coverage and it enables us to serve our regional clients better. The initial focus will be on Behn Meyer's successful feed enzyme range, including Hemicell. New versions of the upgraded liquid product Hemicell WL and the heat-stable powder product Hemicell HT will be the center of the portfolio for the feed industry in the Philippines.